Foraging is the art of searching for provisions growing wild, but how do you forage responsibly? As the locavore movement gains popularity, more and more people are striking out to search for provisions in order to get back to the wild roots of their food. But as the interest in foraging increases, new, inexperienced foragers take to the woods need to know the the legalities and best practices of foraging. Before taking to nature to for look for berries or mushrooms for your dinner table, it is wise to make sure you are following the rules to prevent unpleasant run-ins with landowners — or worse, the law. Public lands looking to protect the integrity of their habitats may have rules against removing plants. 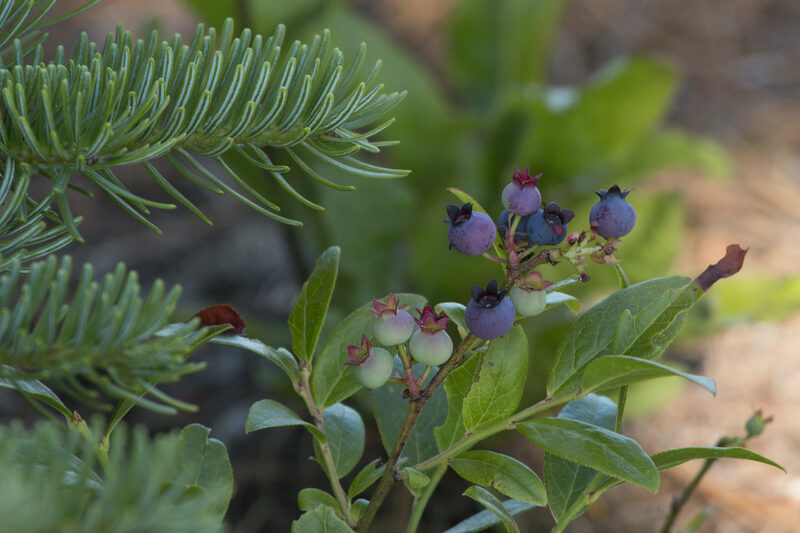 On federally-owned Bureau of Land Management land, it is permissible to pick flowers, berries, or mushrooms in small amounts as long as they are not protected species and you do not plan to sell them commercially. The National Park Service, on the other hand, prohibits removing plants from the parks. On private land, the general rule is to ask the landowner first. States like Maine used to have rules for “permissive trespassing” on unposted land, but in 2017 the state legislature passed a law forbidding foraging on private land without explicit permission. “If it looks like you should ask permission, you should,” Spahr says. But don’t feel shy or discouraged: in many cases, Spahr says, people will be happy to have you foraging on their property, especially depending on what you plan to forage. “A lot of plants that people forage are non-native or invasive, and in a lot of cases people are happy if you take them away,” Spahr says. If you are looking for stinging nettles or dandelion greens, your neighbors will probably appreciate the free weeding service. Keep an eye out for endangered species as well. Intentionally removing an endangered species from its natural habitat could result in a fine or even jail time. But expert foragers say that if you are looking for endangered species, you may want to rethink your foraging technique. This brings up another important point in foraging: identification. Make sure you know what you’re foraging, whether that means taking a guide book or an expert human guide — not just for the sake of the land and its owners, but also for you. Some edible species have toxic look-alikes, so it is important to know what you’re ingesting. Foraging enthusiasts may be concerned about the impact of commercial foraging on their tuf, but on a recreational scale, the environmental impacts of foraging are negligible when it is done correctly. Since mushrooms sprout from a bacterial colony called mycelium. As long as you do not dig to deeply when rummaging around for tasty hen-of-the-woods or chanterelles, the mycelium should stay intact to produce mushrooms in the future. But if you do decide to forage for mushrooms especially, take Brill’s warning to heart: identify everything with 100 percent certainty, or else you could die. A similar rule applies for perennials like fiddleheads and clover. Do not dig them up, just pick the tops, and there will be more for the next year. It is also important to watch your step; tromping around in delicate environments can do even more damage than removing resources. “Watch that you don’t damage sensitive areas like streamsides,” Seymour says. As long as you are consciously foraging and check the rules before you go searching for provisions, you can easily avoid causing trouble with the environment, landowners, or local law enforcement.